Click the Picture to make a Donation. 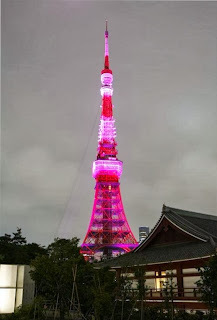 As we all know about "Pink Ribbon" and how it is associated with "Breast Cancer Awareness Campaign" around the world. Breast Cancer Awareness Month (BCAM) is an annual international health campaign organized every October to increase awareness of the disease and to raise funds for research into its cause, prevention, diagnosis, treatment and cure. The campaign also offers information and support to those affected by breast cancer. The Estee Lauder Companies' Breast Cancer Awareness (BCA) Campaign is proud to announce its 2013 global Campaign for Breast Cancer Awareness Month and beyond. The 2013 theme, "Let's Defeat Breast Cancer. We're Stronger Together." The Estee Lauder Companies' Breast Cancer Awareness (BCA) Campaign is devoted to defeating breast cancer through education and medical research. 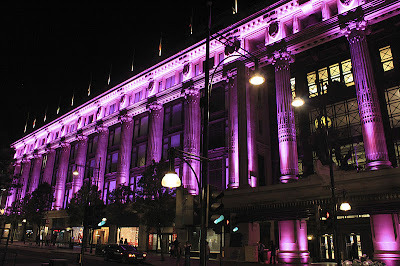 For more information, please visit our website at BCAcampaign.com and like us on Facebook at Facebook.com/BCAcampaign. 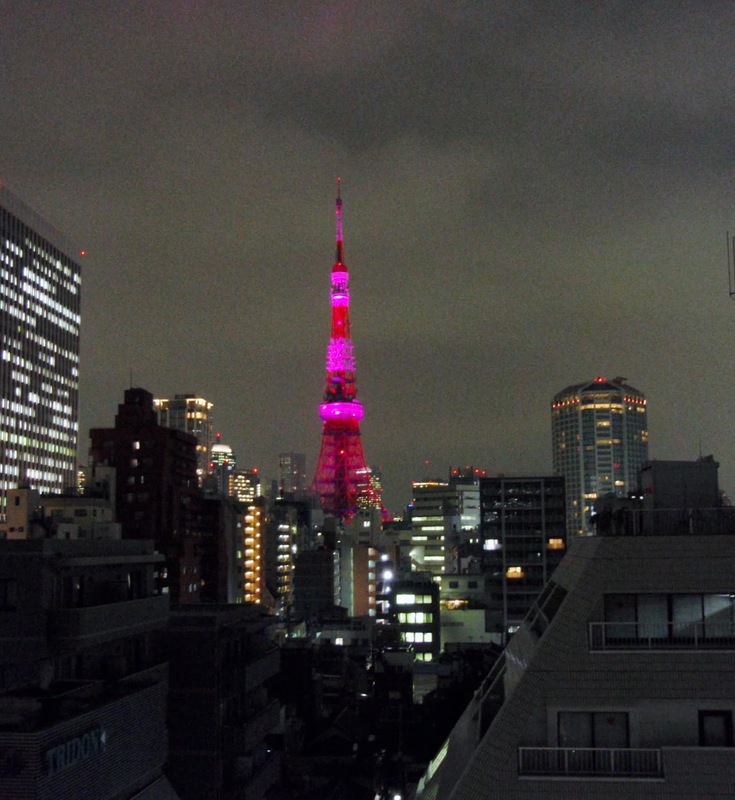 Raise $5 million to support breast cancer research, education and medical services globally. Reach millions of people worldwide with its lifesaving message to shift public focus from awareness to increased action. Invite people around the world to create "Circles of Strength" on www.BCAcampaign.com/strongertogether to comment, share and rally around any action — large or small — to advance us toward eradicating breast cancer from our lives. Bring public awareness to the importance of early detection and breast health globally through educational brochures, BCAcampaign.com as well as Facebook.com/BCAcampaign, Twitter: @BCAcampaign and Instagram: @BCAcampaign, and by distributing millions of Pink Ribbons at Estee Lauder Companies' brand counters worldwide. Offer Pink Ribbon products globally through many of The Estee Lauder Companies' sought-after beauty brands to raise awareness and funds for research. 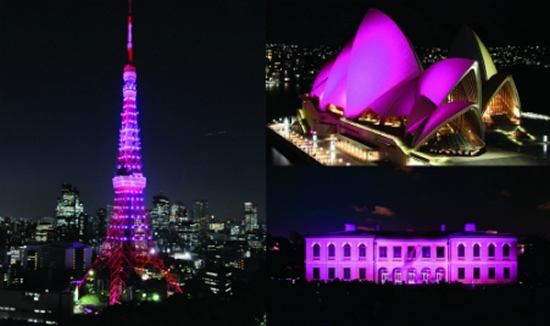 Illuminate global landmarks in glowing pink lights, focusing attention on the importance of defeating breast cancer. 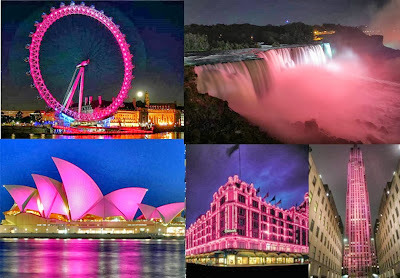 These pink lights will brighten up landmarks across the globe including the Empire State Building in New York, the Bandra-Worli Sea Link in Mumbai, the BT Tower in London, La Moneda in Santiago and The Peninsula in Hong Kong. Every October, Estee Lauder Companies (ELC) illuminates landmark buildings or monuments around the world in glowing pink lights as part of their global campaign. 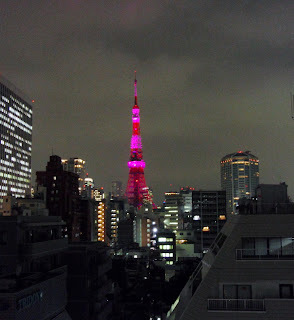 Every October, The Peninsula Tokyo holds its annual campaign, Peninsula in Pink, to support Breast Cancer Awareness Month. P.S. You can donate by clicking on the picture that says donate, it will take you to the link.